ARTFROG ART ACADEMY: 830-613-0692; 301 Main St, Marble Falls, TX 78654. www.ArtFrog.org. Free Arts Education for students all ages, stages and abilities. Old Oak Square. Non-profit. (THE) MEWS: 830-693-1133; 200 Main St, Marble Falls, TX 78654. www.mewsantiques.com; www.themews.net. Antiques, fine art, decor. REDID: 512-644-4040; 213 US-281, Marble Falls, TX 78654. Facebook. Vintage Finds. Refurbished Furniture. Succulent Gardens. Shabby Chic Inspiration. Eclectic Decor. Repurposed items. Outdoor pieces. HIGHLAND OAKS: 830-693-0460; 1600 Mustang Dr, Marble Falls, TX 78654. Web. Affordable housing apartments provided by Texas Housing Foundation (see State Gov't section above). 76 units for seniors aged 55 and above. OAK CREEK TOWNHOMES: 830-693-9800; 1101 6th St, Marble Falls, TX 78654. Web. Affordable housing apartments provided by Texas Housing Foundation (see State Gov't section above). 80 units. SOUTHWEST VILLAGE APARTMENTS: 830-798-8259; 1106 Brazos St, Marble Falls, TX 78654. Web. Affordable housing apartments provided by Texas Housing Foundation (see State Gov't section above). 24 family units. TURTLE CREEK TOWN HOMES: 830-798-8259; 1106 Brazos St, Marble Falls, TX 78654. Web. Affordable housing apartments provided by Texas Housing Foundation (see State Gov't section above). Family units. (THE) VISTAS APARTMENTS: 830-798-8171; 1700 Mustang Dr, Marble Falls, TX 78654. Web. Affordable housing apartments provided by Texas Housing Foundation (see State Gov't section above). Family units. See THF supported apartments in the "Non-Profits" section below. ART THAT MAKES YOU LAUGH: 830-596-0506; 301 Main St, Marble Falls, TX 78654. www.artthatmakesyoulaugh.com. At Leedy Studios below. FIRST BAPTIST CHURCH MARBLE FALLS: 830-693-4381; 501 12th St, Marble Falls, TX 78654. www.fbcpville.org. A non-profit food pantry (partners with Central Texas Food Bank). MARBLE FALLS CHURCH OF CHRIST: 830-693-5575; 711 Broadway, Marble Falls, TX 78654. www.marblefallscoc.org. A non-profit food pantry (partners with Central Texas Food Bank). MUSTARD SEED MINISTRIES: 830-612-1080; 118 Starhorn Rd, Marble Falls, TX 78654. North of Marble Falls, just off US-281. Also operate the Our Father's House homeless shelter (see below in Non-Profits). RODEOTOWN: 830-798-0668; US-281, Marble Falls, TX 78654. Full size arena hosts roping, barrel racing, and other rodeo events nearly every weekend. MARBLE FALLS PARKS & RECREATION: 830-693-1769. Web. 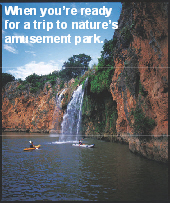 See details in park profiles at Marble Falls in Parks section. (THE) MARBLE FALLS HOUSING AUTHORITY: 830-693-4521; 1110 Broadway St, Marble Falls, TX 78654. http://txhf.org/php_overview.php. Managed by the Texas Housing Foundation (THF), see listing below. Administers the public Housing Choice Voucher Program which is funded through the US Department of Housing and Urban Development (HUD). This is the federal government's major program for assisting very low-income families, the elderly and the disabled afford decent, safe and sanitary housing in the private market. The family that is issued a voucher is responsible for locating a suitable unit that will pass housing quality standards, the owner agrees to the terms of the affordable housing program and the rent is determined to be reasonable. TEXAS HOUSING FOUNDATION (THF): Main Office: 830-693-4521; 1110 Broadway, Marble Falls, TX 78654. www.txhf.org. A Texas regional housing authority. Mission is to promote adequate, affordable housing, economic opportunity, and a suitable living environment for the families they serve, without discrimination. Goal is to be the area’s affordable housing of choice. Government funded. FERGUSON ENTERPRISES: 830-693-7048; 2301 9th St, Marble Falls, TX 78654. www.ferguson.com. Plumbing and more. Off 1431 W.
MURRY BURNHAM GAME CALLS: 830-693-3112; Marble Falls, TX 78654. www.burnhamcalls.com. Hunting Game Calls and Supplies, all types of game calls including the patented, long range dual reed predator call from Murry and Hunter Burnham. Also electronic game callers, animal scents and other hunting related products. 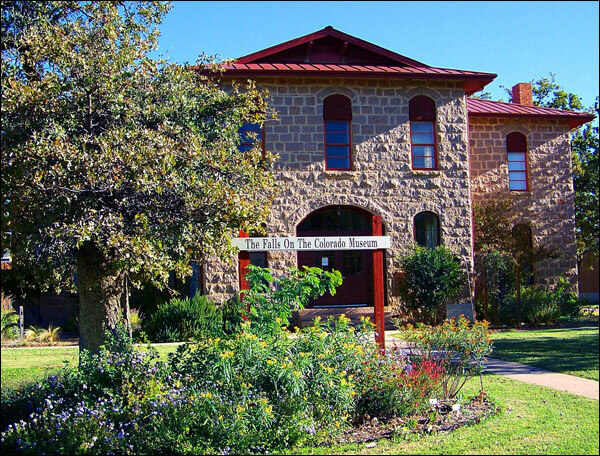 LIBERTY HALL GUEST HAUS BED & BREAKFAST: 800-232-4469; 119 Ave G, Ste 103, Marble Falls, TX 78654. A PLACE OF HOPE: 830-798-8072; 1009 Falls Pky, Marble Falls, TX 78654. www.aplaceofhope-usa.org. Offers routine checkups and sees patients who need prescriptions and who no longer can afford to go to their previous physicians due to their temporary financial situation. Emotional trauma center. BLUEBONNET TRAILS COMMUNITY MHMR CENTER, PRIDE EARLY CHILDHOOD INTERVENTION: 830-798-2801; see above location. RIATA COUNSELING: 830-265-4554; 101 US-281, Ste 207, Marble Falls, TX 78654. Mental Health Specialist. CELEBRATION LIMO: 830-693-0800; 2300 9th St, Marble Falls, TX 78654. www.celebrationslimo.com. Services in the Kingsland area. Hummer-type Limo's. GATEWAY VILLA: 830-693-1800; 601 Steve Hawkins Pwy, Marble Falls, TX 78654. www.gatewayassistedliving.com. Retirement and assisted living facilities. GO PADDLE DOWN: 832-785-9781; 306 Buena Vista Dr, Marble Falls, TX 78654. www.gopaddledown.com. Rent stand up paddle boards (SUP) and kayaks, 7 days a week. Reserve on-line. INNERZEN: 512-755-3906; 609 Main St, Marble Falls, TX 78654. www.innerzen.info. Exercise, "spinning"
LAKES & HILLS RECEIVING, STORAGE AND DELIVERY: 830-693-1711; 2414 Unit A, Commerce St, Marble Falls, TX 78654. (THE) PICAYUNE: www.thepicayunetv.com. Weekly newspaper in Highland Lakes. See Victory Publishing below. PRO MOVERS PLUS: 281-693-5533; 1404 Broadway St, Marble Falls, TX 78654. TINY HOME AUSTIN: 512-789-8992; 11700 RR-1431 E, Marble Falls, TX 78654. http://tinyhomeaustin.com. VICTORY PUBLISHING COMPANY: 830-693-7152; 1007 Ave K, Marble Falls, TX 78654. www.thepicayunetv.com, www.dailytrib.com (on-line news). A family-owned information and content provider that has delivered newspapers, magazines, phone books and now a Web site for the residents of the Highland Lakes. Products include: The Picayune, The River Cities Daily Tribune, the Highland Lakes Business Journal, the 101 Fun Things to do in the Highland Lakes tourism magazine. AMERICAN LEGION: www.legion.org. A congressionally chartered mutual-aid organization of military veterans founded to benefit those veterans who served during a wartime. BOYS AND GIRLS CLUB OF THE HIGHLAND LAKES: www.bgc-hl.com. Inspiring and enabling all young people to realize their full potential as productive, responsible, and caring citizens. Tutoring, professional services, sports & recreation. BOY SCOUTS: www.scouting.org. A non-profit organization that provides a program for young people that builds character, trains them in the responsibilities of participating citizenship, and develops personal fitness. CAMP AGAPE BEREAVEMENT CAMP FOR CHILDREN: 830-693-0700; Located at Marble Falls Community Resource Center (CRC), in the T.Q. Brown Community Center, 1016 Broadway, Marble Falls, TX 78654 (Texas Housing Foundation (TFC) provides this facility). Map. Services: A support program for children who have suffered the loss of a loved one. Wed 8a-1p, every 3rd Wed 1-5p, Also see in Burnet. CANDLELIGHT RANCH: 512-323-5300; 6408 Muleshoe Bend Trail, Marble Falls, TX 78654. www.candlelightranch.org. Provides nature-based therapeutic, educational and recreational programs that transform and enrich the lives of at-risk youth and children with special needs. The accessible Ranch is a safe and fun place where program participants from more than 30 partnering community organizations and agencies can experience art therapy, equine assisted learning activities, kayaking, water play, zip lines, hiking, camping, sustainable gardening and much more. Located off FM-1431 just E of town. GIRL SCOUTS: www.girlscouts.org. A non-profit organization that provides a program for young people that builds character, trains them in the responsibilities of participating citizenship, and develops personal fitness. HABITAT FOR HUMANITY: https://www.habitat.org. A nonprofit, ecumenical Christian ministry that builds a decent place to live with people in need regardless of race or religion. We welcome volunteers and supporters from all backgrounds. HELPING CENTER: 830-693-5689; 1315 Broadway St, Marble Falls, TX 78654. A non-profit food pantry (partner with Central Texas Food Bank). Serves those in need in southern Burnet County. Its garden provides fresh produce to go along with non-perishable food items. HIGHLAND LAKES FAMILY CRISIS CENTER: 830-693-3656 or 800-66-HELP-4; Located at Marble Falls Community Resource Center (CRC), in the T.Q. Brown Community Center, 1016 Broadway, Marble Falls, TX 78654 (Texas Housing Foundation (TFC) provides this facility). Map. www.hlfcc.com. Serves victims of domestic violence and sexual assault throughout Burnet, Blanco, Llano and Lampasas Counties. Provides 24 hotline for counseling, information, and referral. Provides 24 hour crisis intervention, advocacy and accompaniment through medical and legal procedures. Offers emergency shelter, food, clothes, and transportation. Provides coordination of the Sexual Assault Response Team. Provides outreach counseling for adults and children. At office, emergency intake only weekdays. HIGHLAND LAKES LEGACY FUND: 830-220-1100; POB 234, Marble Falls, TX 78654. www.highlandlakeslegacyfund.org. An endowed foundation directed by leaders with strong ties to our communities in Central Texas, that acts as catalysts bringing diverse donors and resources together to work on solutions and fostering greater giving and volunteering. HIGHLAND LAKES LEGAL CENTER: 512-755-7887; 115 Main St, Marble Falls, TX 78654. www.highlandlakeslegalcenter.com. A non-profit law office created to offer income-based legal services in Blanco, Burnet, Llano, and San Saba counties. HIGHLAND LAKES SERVICE LEAGUE: 830-693-2449;214-755-4684; Marble Falls, TX 78654. Non-profit organization that volunteers at various events and is a resource for other nonprofit organizations that need volunteers. K'STAR: Office: 830-896-5437; Helpline: 1-855-327-8004; www.kstar.org. Family crisis intervention, short term individual and family guidance, youth groups, parent groups, counseling, in home and office services. Hours: 24x7. All services free. Kerrville: An emergency shelter for youth in crisis situations: 830-896-7294. KIWANIS CLUB: www.kiwanis.org. A global organization of members of every age who are dedicated to changing the world, one child and one community at a time. MARBLE FALLS SENIOR ACTIVITY CENTER: 830-693-5611; 618 Ave L at 6th St, Marble Falls, TX 78654. A place for senior residents ages 50 and older a place to hang out, visit, play games, eat and just have fun. Annual Chili Meal event, early Feb, fundraiser. MEALS ON WHEELS: Marble Falls, TX 78654. www.meals-on-wheels.com. Individuals 60 years and older are invited to eat meals at the senior centers and apply for services. All of our meals are provided at no cost to recipients. Donations are welcome. NATIVE PLANT SOCIETY OF TEXAS: www.npsot.org. Promoting research, conservation and utilization of native plants and plant habitats of Texas through education, outreach and example. A non-profit organization supported by grants, donations and member dues. Local: Highland Lakes Chapter, www.npsot.org/wp/highlandlakes. Meets Jan, Mar, May, Sep, Nov, on 3rd Sat, Marble Falls Library at 1p. OLDER ADULT RURAL SERVICES (OARS): Helps the elderly stay independent by providing transportation to the doctor and grocery store, picking up prescriptions, making friendly phone calls and visits. Volunteers are asked to drive once a month, or for those who do not wish to drive, there are other opportunities to help. OUR FATHER’S HOUSE: 830-612-1080; 118 Starhorn Rd, Marble Falls, TX 78654. Homeless shelter on the grounds of Mustard Seeds Ministries north of Marble Falls, just off US-281. Shelter and food for a 30-day period. Volunteers provide work resources, business, gardening and life skills as well as counseling referrals. See listing in Churches above. PHOENIX CENTER & CAMP PHOENIX: 830-637-7848; 119 Ave G, Marble Falls, TX 78654. Web. Therapy programs (wilderness, equine, adventure, yoga) & counseling. TOASTMASTERS INTERNATIONAL: 949-858-8255. www.toastmasters.org. A nonprofit educational organization that operates clubs worldwide for the purpose of helping members improve their communication, public speaking, and leadership skills. HIGHLAND LAKES SPCA: 830-596-2717; 830-693-0569; POB 1275, Marble Falls, TX 78654. www.highlandlakesspca.org, Facebook. A no-kill dog rescue organization & shelter. Operates in the Highland Lakes area of central Texas, including Burnet, Llano, Blanco, and Travis counties. Serves the towns of Marble Falls, Horseshoe Bay, Spicewood, Kingsland and Burnet. A 501c3 non-profit group composed almost entirely of volunteers and funded by donations and fund raisers. No financial assistance from any local or national governmental agencies. HIGHLAND LAKES VETERINARY CLINIC: 830-693-5438; 1110 RR-1431 W, Marble Falls, TX 78654-5007. http://highlandlakesvet.com Emergency after-hours service available. LIVING LOVE ANIMAL RESCUE: 512-755-4476; 407 Main St, Marble Falls, TX 78654. http://livingloveanimalrescue.org. A no-kill animal shelter. Also see Living Love Animal Rescue Thrift Shop in Retail Stores below. MARBLE FALLS DOG PARK (RUFF PARK, aka JO'S PARK): 830-693-1769; 1610 2nd St, Marble Falls, TX 78654. Facebook. Located within Westside Park, provided by City of Marble Falls. Fenced, paths, dog waste stations. MARBLE FALLS POLICE DEPARTMENT ANIMAL CONTROL: 830-693-3611; 101 Ave L, Marble Falls, TX 78654. www.marblefallspolice.com/295/Animal-Services. Jacinto Gonzales, Animal Control Officer. Animal Services are performed by one civilian uniformed officer who is responsible for the capture, care and feeding of lost/abandoned animals, including the adoption of animals not claimed by an owner after 72 hours. Office: Mon-Fri (except holidays), 8a-5p. Call above number to report pet lost or to claim your pet. PET PALS: 830-598-7729; 2003 RR-1431 W, Marble Falls, TX 78654. www.petpalsmarblefalls.org. Mission is to provide low cost spay and neuter services, and educate the public about the impact of unaltered companion animals in the community. TRACTOR SUPPLY COMPANY: 830-798-2642; 1507 US-281 N, Marble Falls, TX 78654. www.tractorsupply.com. Pet supply store, pet wash station, and periodic PetVet Clinics. D GREEN & ASSOCIATES: 830-693-2503; 604 Ave G, Marble Falls, TX 78654. (THE) BISTRO AT FLAT CREEK ESTATE: 512-267-6310; 24912 Singleton Bend East, Marble Falls, TX 78654. www.flatcreekestate.com. Located at winery, see directions below. (THE) DRY DOCK BAR & GRILLE: 830-693-9999; 112 Main St, Marble Falls, TX 78654. http://www.centraltexasnights.com/clubs/drydock.html. Grill always open. Live music Fri-Sat. (THE) R BAR & GRILLE: 830-693-2622; 904 3rd St at Main, Marble Falls, TX 78654. www.rbargrill.com. Full bar, TV sports, free Wi-Fi. GRANITE MOUNTAIN/COLD SPRING TEXAS GRANITE COMPANY: 830-693-4316; 2400 RR-1431, Marble Falls, TX 78654. www.coldspringusa.com. Home of "Texas Pink" granite used to build the Texas State Capitol building. The mountain can be viewed from roadside picnic areas. Visitors not admitted to quarry area, but a retail outlet is open to the public. Just W of Marble Falls. LIVING LOVE ANIMAL RESCUE THRIFT SHOP: 407 Main St, Marble Falls, TX 78654. See Living Love Animal Rescue in Non-Profits above. <FIRST BAPTIST CHRISTIAN SCHOOL: 830-693-3930; 901 La Ventana, Marble Falls, TX 78654. www.fbcsmf.org. A Christ-centered, college preparatory school, Pre K through 8th grade. 200 students. HARMONY SCHOOL OF CREATIVE ARTS: 830-693-1791; 1503 Mormon Mill Rd, Marble Falls, TX 78654. www.harmonyarts.org. Music lessons, recitals, dance/musical theater classes, productions, visual arts center. Serves infants to seniors. CAMP OF THE HILLS: 830-693-2580; 1552 CR-344, Marble Falls, TX 78654-3459. http://campofthehills.org. A ministry dedicated to revealing and glorifying Jesus Christ by providing life-changing experiences to deserving children from low-income communities. NORTHLAND COMMUNICATIONS: 830-693-7500; 1101 Mission Hill Dr, Marble Falls, TX 78654. www.yournorthland.com/marblefalls. Digital TV, internet, home phone service. SPECTRUM/TIME WARNER CABLE: 1-800-418-8848; www.timewarnercable.com. Cable Television, Roadrunner Internet, VOIP. Local office: 855-296-8261; Marble Falls, TX 78654. 281 COMMUNICATIONS: 830-798-9041; 1302 US-281 N, Marble Falls, TX 78654. www.281.com. Microwave-based internet service. (THE) FALLS BUSINESS AND EVENT CENTER: 830-385-5950; 501 12th St, Marble Falls, TX 78654. Note: Also check larger motels/inns/resorts, churches, wineries, dance halls, city/county pavilions/community buildings and non-profit community centers for venue rental options. Depending on number of people attending your event, consider availability of tables, chairs, linens, cooking/prep/refrigeration facilities, bathrooms, A/V equipment, performance stage, alcohol sales, parking, lighting, security, etc. And, check out nearby Longhorn Cavern State Park (TPWD). FLAT CREEK ESTATE VINEYARD AND WINERY: 512-267-6310; 24912 Singleton Bend East, Marble Falls, TX 78654. www.flatcreekestate.com; Tue-Fri 12-5; Sat 10-5; Sun 12-5. Experience Old-World charm throughout our 80-acre Estate. Visit the home of "Super Texan" sangiovese. Taste handcrafted Texas wines from Texas grapes. Labels include Flat Creek Estate & Travis Peak Select. Located 6 mi W of Lago Vista and 20 mi E of Marble Falls on RR-1431. Go S on Singleton Bend 2.5 mi to Singleton Bend East. L 1 mi to vineyards.